Tweezers are a very important tool in everyone's makeup bag. I love them for tweezing away stray eyebrow hairs and (TMI) picking off any dead skin from acne/scars that a scrub couldn't get haha - don't lie, we all do it! Marks Gouger Tweezer Set is perfect for all sorts of things - tweezing, fixing jewelry, applying false lashes, etc. 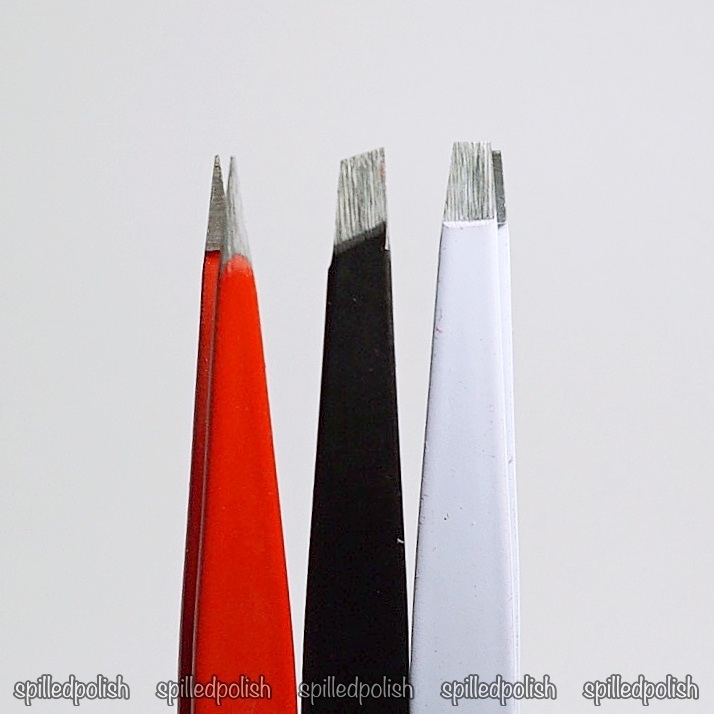 There are three different tweezers: a straight pair, a slanted pair, and a pointed pair. My favourite is the pointed tweezer. I was a little let down at first because these aren't as pointy as others I have tried, but after using them, I found that they get a much better grip on stray hairs. This set also came in a handy leather pouch, which is very convenient for travelling and storing away when not in use. 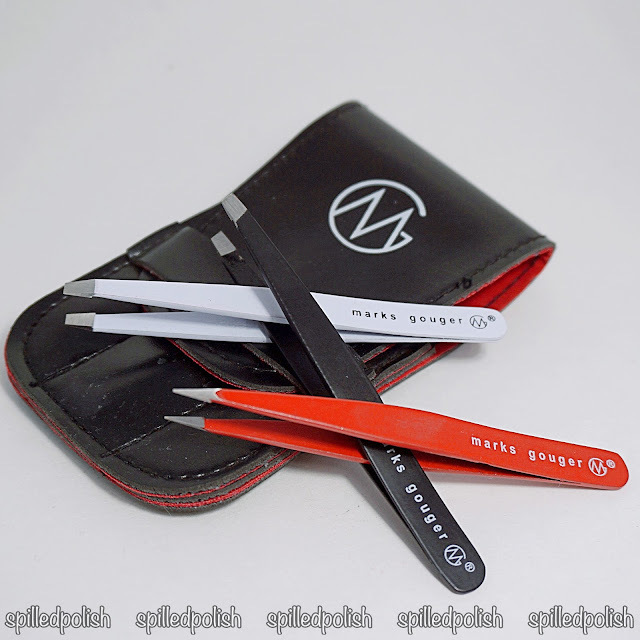 This whole set is actually much better then some other tweezers I have used in the past, and will definitely continue to use them. I would highly recommend these to anyone looking for a higher quality set of tweezers!